Such a great find! 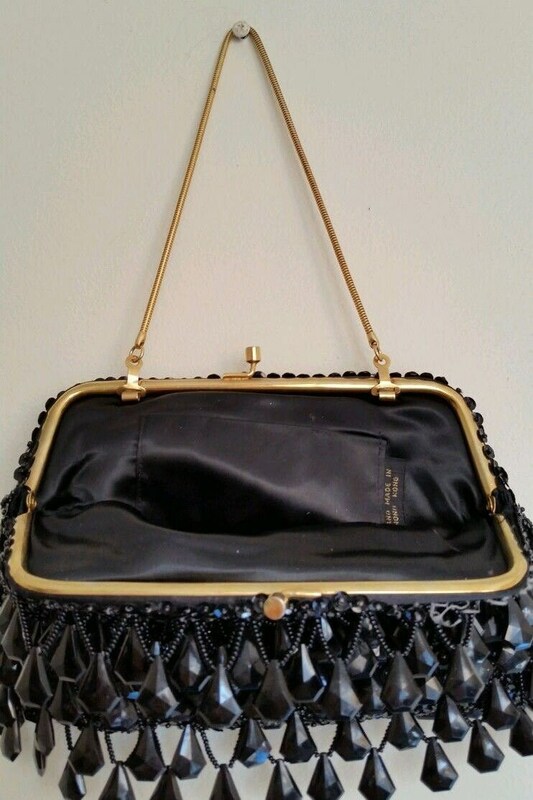 Vintage beaded black formal bag w/gold chain strap. 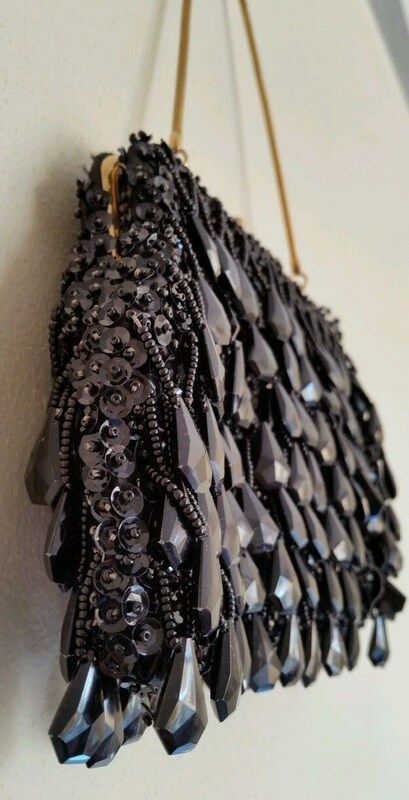 Lucite dangling beading with a background of sequins. Striking with a touch of flash! Black satin interior is in excellent condition. Dimensions: 8 inches long x 5 inches high. Strap drop is 6.5 inches. 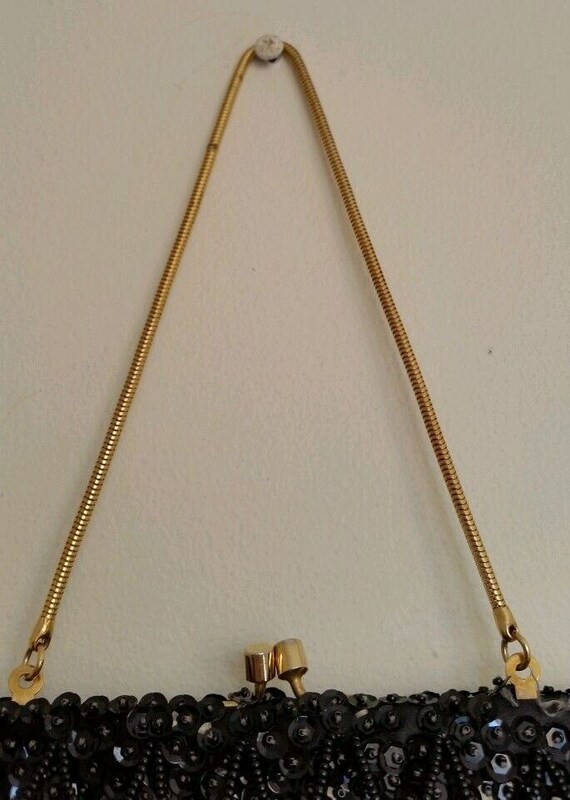 Gold tone metal frame and kiss closure. 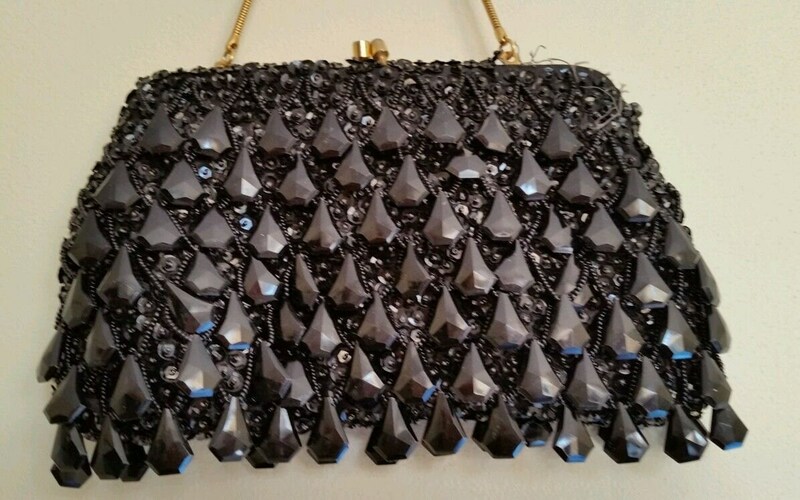 Strap can fold inside to use as a clutch. There are two beads missing from one bottom corner but does not distract. Made in Hong Kong. 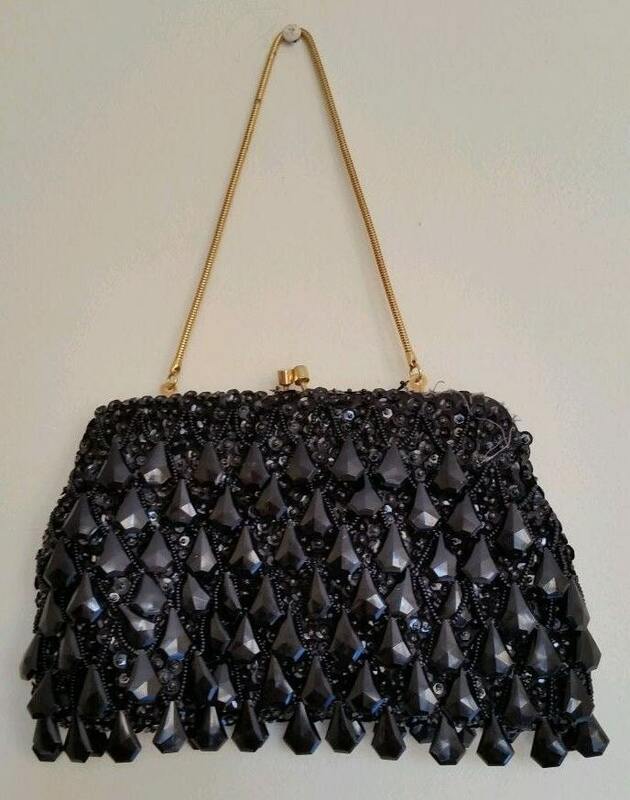 The photos don't show just how cool this bag is.